It was the Tory MP and peer, Quintin Hogg, later Lord Hailsham, who coined the phrase “elective dictatorship” to describe a government that – once elected – proceeds to ignore the wishes of the voters who elected it and to do whatever it wishes. His point was that there is much more to democracy than the casting of a vote once every few years. In a properly functioning democracy, government is held to account – not least in parliament – and its decisions debated and often contested on a day-to-day basis. A government claiming legitimacy for its actions and decisions will ensure that this is so. I was reminded of this important point when Nanaia Mahuta’s complaint about the inadequacy of facilities in our parliament for mothers with small babies was summarily dismissed by Rodney Hide in the Herald on Sunday. There was no problem, Hide asserted, because MPs did not need to be present in the debating chamber; they were required in parliament, not – it seems – to listen to, let alone participate in, the debate, but merely to act as lobby fodder. As long as they cast their votes at the appointed time, it didn’t matter if they knew what had been said in the debate or even if they knew what the debate was about. 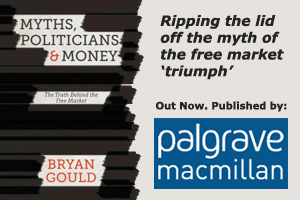 This offers a remarkable insight into how the current government and its allies view parliament and the democratic process. The notion that the elected members are there to exercise supervision and restraint over the executive – that the government needs to make and win reasoned arguments before making decisions – is obviously foreign to them. Perhaps we should not be surprised. John Key’s government has given ample evidence of the contempt in which it holds parliament. Its majority in that parliament is, after all, the product of a disreputable deal with John Banks and its determination to preserve that arrangement is evidenced by its summary rejection of the public’s demonstrated wish to see – in the interests of democracy – reforms of our MMP voting system. The government’s focus is clearly on preserving its majority, whatever the cost to effective democracy. And so little value is placed on parliamentary debate that the resort to “urgency” in passing legislation is now commonplace and has led to increasingly badly drafted law. It is increasingly clear that – whatever the principles of our constitution may say – the government is unwilling to tolerate interference, not just from parliament, but from any quarter. It has now taken to ignoring the advice it receives even from its own departments, as in the cases of the Crown Minerals Amendment Act and the decision allowing mining on the Denniston plateau. It has quite deliberately restricted the rights of citizens to go to law to contest government decisions, as in the shameful case of those who might wish to litigate the low level of remuneration paid to family carers. It has refused to publish the legal advice it has received on contentious issues like the criminalisation of protest against oil drilling on the high seas. John Key has repeatedly made the argument that a policy on asset sales that is manifestly opposed, on strong grounds, by a majority of New Zealanders should nevertheless proceed because he and his party won the 2011 election. This is as stark an instance of an “elective dictatorship” as one could wish (or not wish) to see. That argument has now been taken to even less defensible lengths on the issue of the Auckland convention centre. Not only are we told that the general election outcome means that the Prime Minister is free to strike whatever deal he wants to make with his big business cronies (in a secret process, in this instance, roundly criticised even by his parliamentary ally, Peter Dunne), but the Sky City boss then has the gall to jump on that bandwagon and to tell the public that the PM’s mandate means that they have no right to be heard. It is now clear that the only people who have any chance of influencing the Prime Minister in his otherwise unbridled use of power are the leaders of powerful business interests. Warner Brothers can extract tax concessions and law changes without breaking sweat; petroleum and mining companies can have protesters outlawed and environmental concerns set aside; Sky City can have gambling protections relaxed and a licence to print money extended till 2048 – and parliament is threatened that any successor government would incur heavy penalties if it tries to change that arrangement. A government that understands and values democracy would ensure that it was responsive at all times to the opinions of the voters. This is not to say that a government, including this one, cannot have its own way. But the strength of our democracy rest on assuring people of all views that they have at least been heard. Our forefathers fought hard for our democracy. Whatever view we take of the government’s political stance, we betray that legacy if we fail to protest at the cavalier way in which democracy is now treated.